Giant Radishes, Rhubarb & Re-organisation! After a long weekend away in Cornwall last week it was lovely to get the chance, and the weather, to get back in the garden! 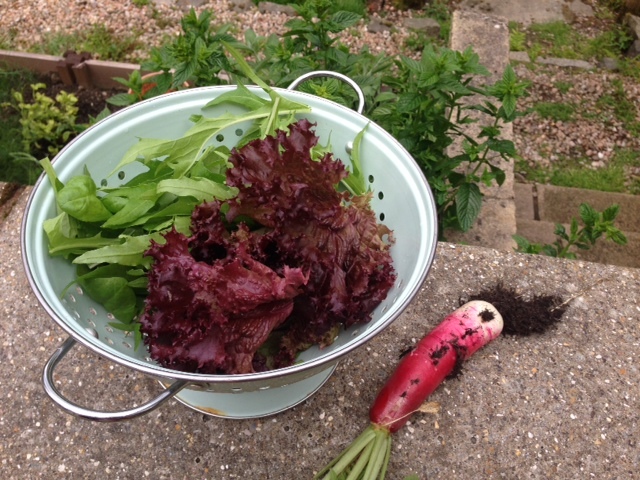 It’s incredible the changes in just two weeks, especially after a healthy mix of both rain & sunshine, everything is looking lush, the veggies and salad are abundant, some are even enormous – check out the giant radish (sadly, so are the weeds!). 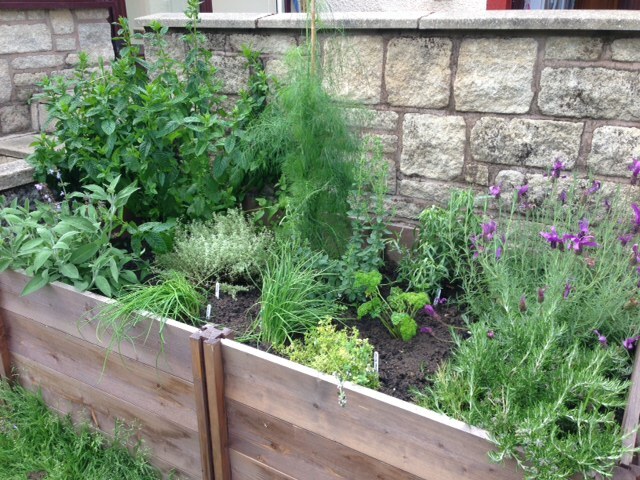 The main job of the weekend was to sort out our herb garden, when we planted it, we didn’t really know the sizes and spread of things and some plants were completely overshadowed so a little re-organisation was required. Fingers crossed they didn’t mind be moved about too much! We also had a sunflower planted by a very small rhubarb plant which was completely overtaken by the rhubarb’s unprecedented growth – sadly it looks like it’s now on the critical list – it didn’t seem to like being moved in to a pot and placed in the sunshine! 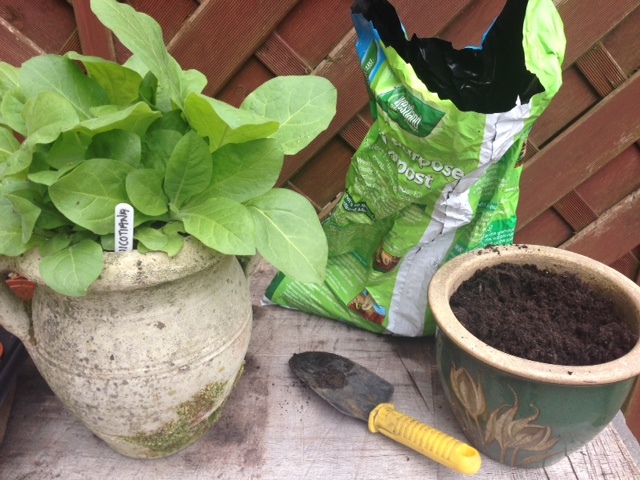 I thinned and re-potted some of the Nicotiana as that was bursting out of it’s pot too! 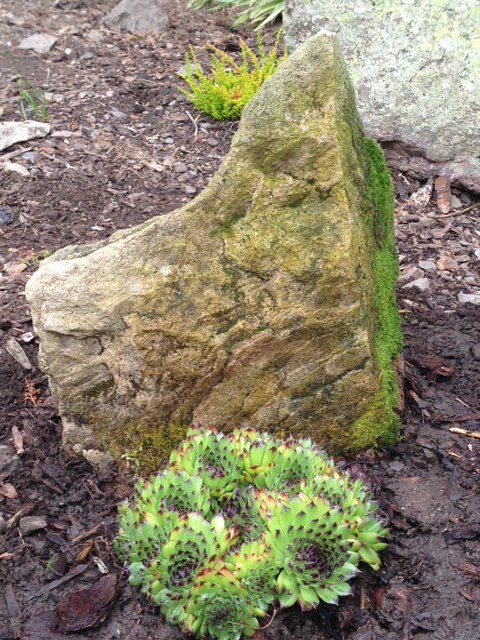 We put a couple more plants in the rockery – another lavender and a Sempervivum, did some much needed weeding and then sat down to enjoy an al fresco game of Trivial Pursuits – heavenly! 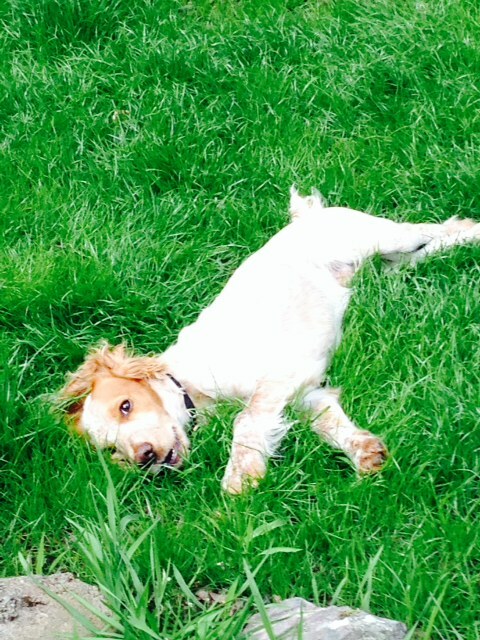 Oh & a wee taste of the Elderflower Champagne was terribly disappointing, flat as a could be! The recipe holder has advised however that it needs 6 months at least so will just forget about it for a while and revisit later in the year when hopefully it’ll have bucked up a bit! 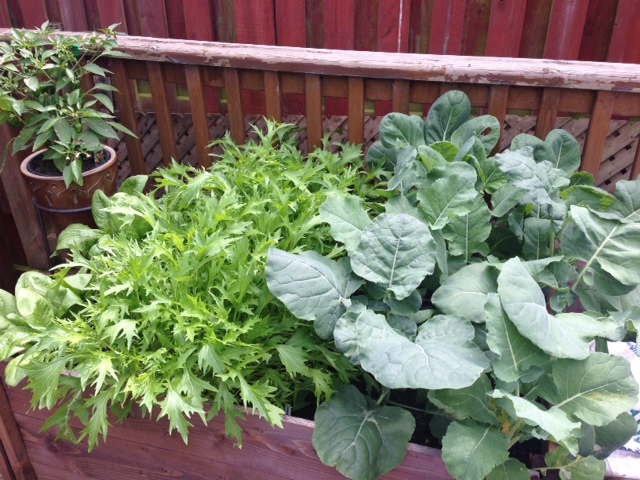 Veggie & Salad Patch exploding! 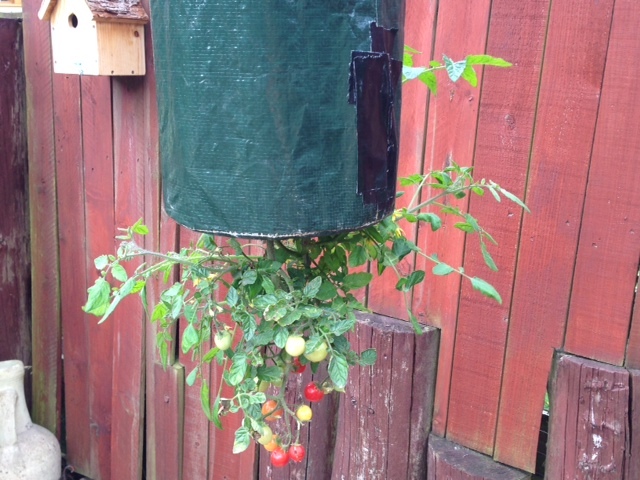 We have tomatoes & one plant is growing up! 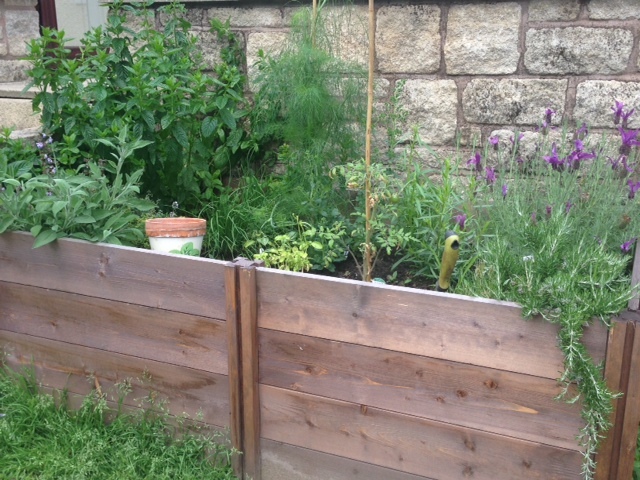 The herbs and radishes looks good. Keep sharing!